Local SEO success isn’t just about checking items off a list, but instead is about answering questions and providing helpful content. Ensuring your company contact information is accurate and consistent is a huge part of local SEO rankings. Keywords are great, but mixing keywords with clear intent of your ideal lead is the foundation of an effective local SEO strategy. There may be no more confusing, abstract concept of online marketing than search engine optimization (SEO). That is, aside from the concept of local real estate SEO. Though many investors may spend years trying to master SEO for real estate and compile that magical list of real estate SEO keywords that will bring in loads of new visitors to their website, the truth is that, as investors, we work best when our message finds the right geographical match. 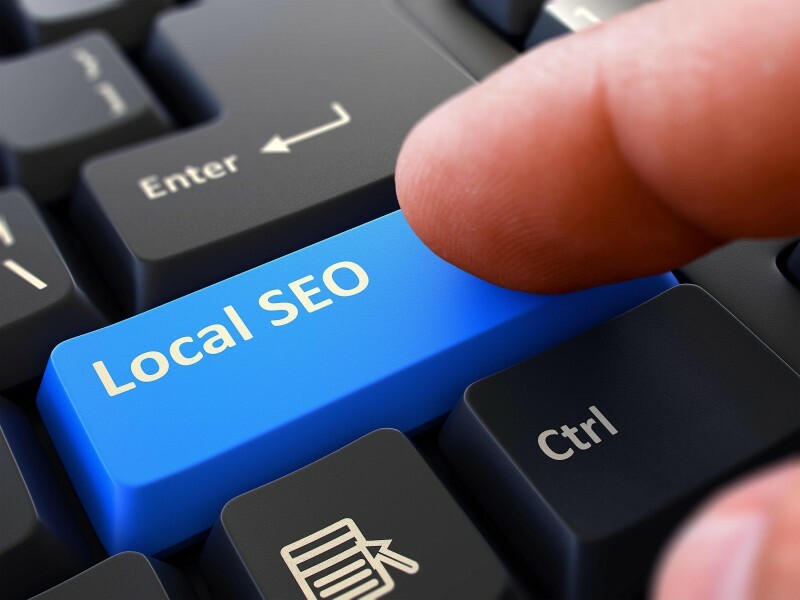 Ensuring our real website SEO efforts are geared toward a local audience are vital. What does local SEO marketing for real estate investors actually look like? What are the best practices you should follow when trying to become a local real estate SEO expert? One of the most important local SEO strategies is to create valuable, unique content. You also want to make sure you claim all company citations, such as Google or Yelp, and proof your contact info so it’s consistent across all web pages. Here are five local real estate SEO strategies to help your brand discovered by the people who matter most, those in your market. SEO for real estate investors can feel a bit like a paint-by-numbers checklist, but it’s important to remember that search engines want to serve the best, most helpful results to their users. All the great local SEO actions in the world won’t help content that is boring and doesn’t engage readers. Think about your brand personality. What type of folks are you trying to reach? If it’s retail buyers, home improvement tips and recommendations for the best burger in town would resonate. If you’re trying to reach motivated sellers, perhaps something about financial planning or selling home in a particular region would be appreciated. Much of local SEO has to do with people looking for answers, and search engines trying to find the best answers to questions people have. If you are a part of that conversation, you’re more likely to find great success with your local SEO efforts. Many real estate investors will use a tool such as the Google Keyword planner to find the most popular keywords out there when devising content. But high-trafficked keywords are not the goal, keywords with proper intent are. For example, if you’re looking for seller leads in Detroit, would a keyword such as “How to sell a home in Detroit” work for your needs. Maybe, maybe not. We don’t know exactly what their situation is. It’s too broad. But instead keywords such as “how to avoid foreclosure in Detroit” or “How to sell a home fast in Detroit” or even “How to avoid bankruptcy in Detroit” can all be a much faster, and more effective path to finding exactly the local audience that you desire. Many of the same SEO best practices are recommended whether you’re trying to improve your website’s discoverability on a local level or national level. Even a site attempting to boost its local SEO rankings will want to ensure that keywords are included in the title tag, description, content body, and URL, just like a national piece of content would. But one absolutely crucial element of your local real estate SEO strategy is to ensure that your business name, address, and phone number (NAP) is found readily throughout your website and that it be consistent. Discrepancies in this area, even just a little, can confuse the search engines and drop your local rankings. Often this as simple as having a developer add a footer to your website, or something in the sidebar that includes your NAP. It’s also a good to have a developer create a sitemap that includes this information to help the search engines find this information easily. But you’ll want to pay careful attention to any changes you make in your NAP, and make sure those changes are reflected consistently across your entire site. A citation is simply an online location that includes your company’s NAP. These would include places such as Google, Bing, Yahoo, Zillow (if relevant), and Yelp. It’s vital you make sure that the information on these citation pages matches that of your primary real estate website. Also, it’s a good idea to try to have some positive reviews on these different citation sources, if you can. The more the merrier when it comes to these; though you should always encourage honest, ethical reviews. No funny business. Ensuring that your investor website is easily viewable on a smartphone or tablet is not just good, sound business advice when trying to rank a website nationally, but considering that nearly 80 percent of all local searches are on a mobile device, it’s absolutely crucial. If you’re primary website doesn’t play well with mobile devices, the thing most people use to get local information, chances are they’ll never find your website or your brand. All your local SEO efforts will go up in digital smoke. Have you seen results with your local real estate SEO efforts? Let us know in the comments below.